Cross Denim Shorts sponsored by RebelzByChoice. RebelzByChoice is a new blogshop that aims to revolutionize the fashion industry in Singapore. They have recently launched our 4th collection: Danger Zone. RebelzByChoice brings out the rebel in you! Their apparels ranges from various styles, from tie dyes to lace prints, studs to floral embroidery! No matter what your style is, you'll definitely find something you like at RebelzByChoice! If you have problems loading the video, click HERE to view. 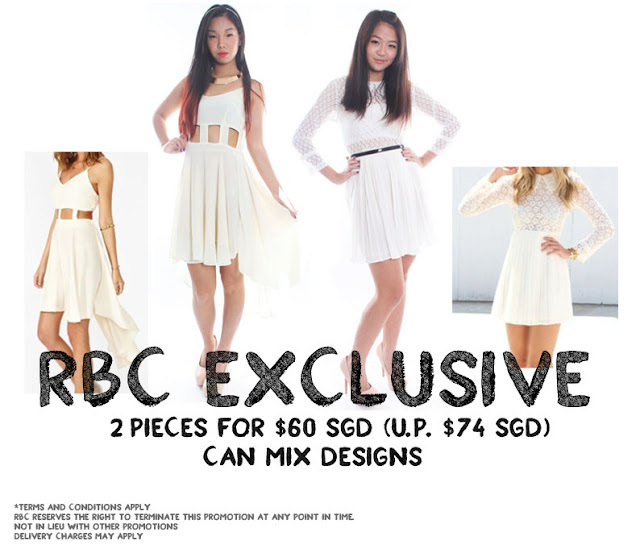 RebelzByChoice brings in pieces that are unique and exclusive, hence, they have manufactured certain pieces under their label. These two dresses are inspired by renowned sites Sabo skirt and Nastygal respectively and have hand picked to flatter almost every body type!! EXCLUSIVE TO MY READERS ONLY!! *Can be stacked with the following 2 for $60 promotion (e.g. 2 for $50 instead of $60 when you quote SZERBC). 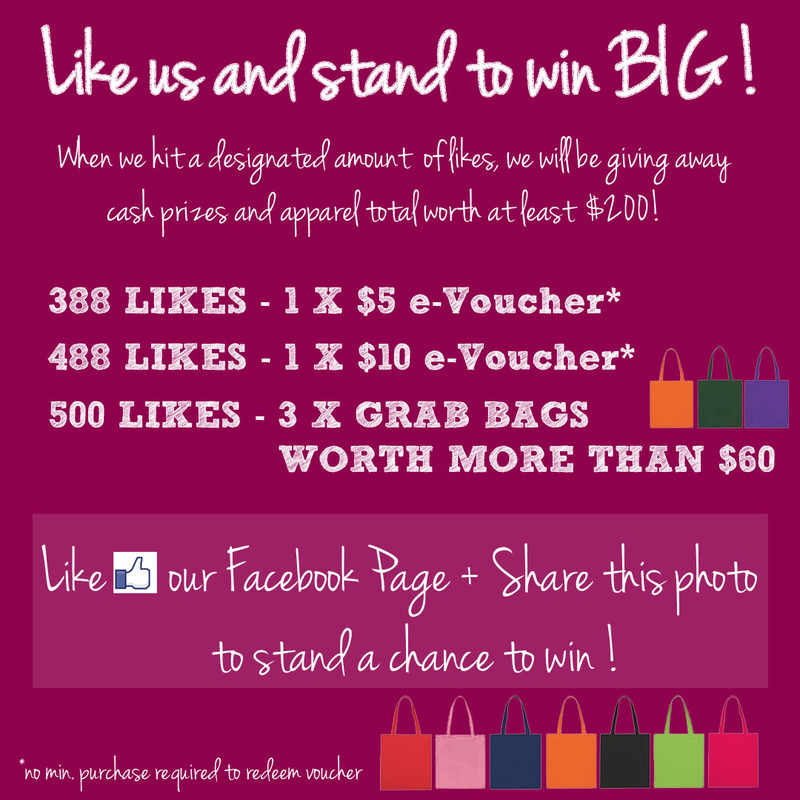 RebelzByChoice will be having another Grab Bag Promotion due to over whelming response! This time, you get to choose what items you would like to include by topping up a small fee. Otherwise each bag goes for $30 and includes 1 Top + 1 Bottom + 1 Dress. THAT'S ONLY $10 FOR AN ITEM!! 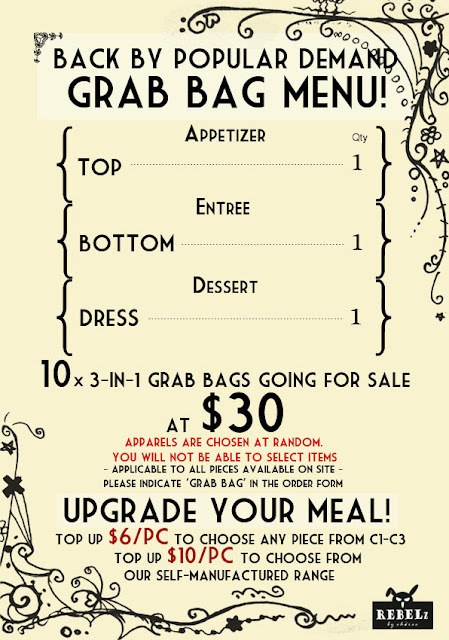 Remember to indicate 'Grab Bag' in the Item Field when checking out. Last but not least, they are having a MEGA SALE: 50% OFF ALL DRESSES from Collection 1 to 3. Promotion starts from now till 23rd April 2013. Like their Facebook Page and stand a chance to win attractive prizes! With all these promotions, what are you waiting for?